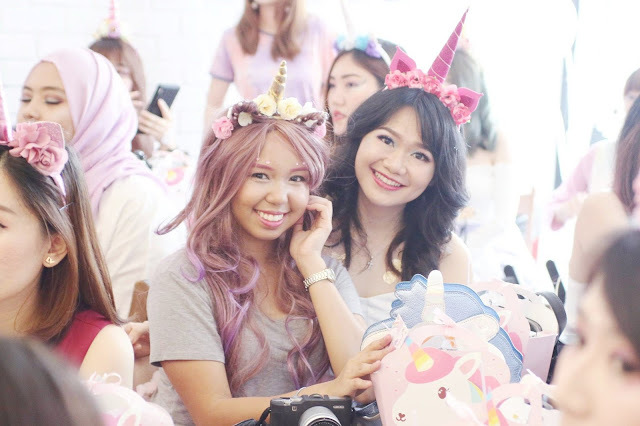 Sara Wanderlust: Unicorn Party with Magical Bloggers | The Butterfly Project turns 5! Unicorn Party with Magical Bloggers | The Butterfly Project turns 5! I am honestly so blessed that I was invited to celebrate The Butterfly Projects 5th Year! Growing in an amazing group of bloggers really encouraged me to be a better blogger with good values to share and learn from other bloggers. 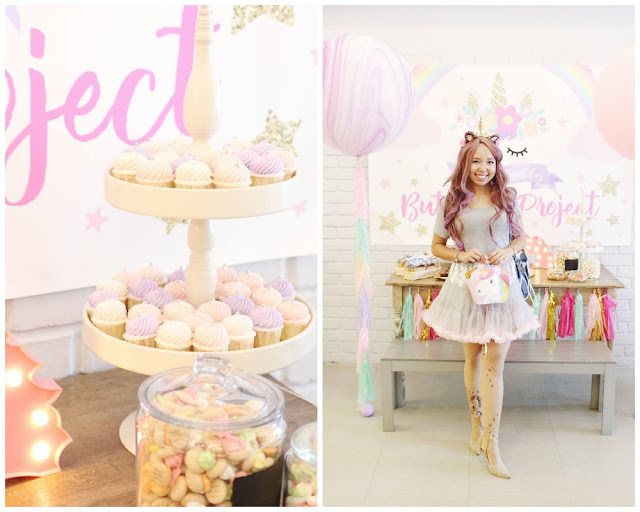 I remember my first blogger event with The Butterfly Project, and that was when I met tons blogger friends whom I can call a true friend to me. 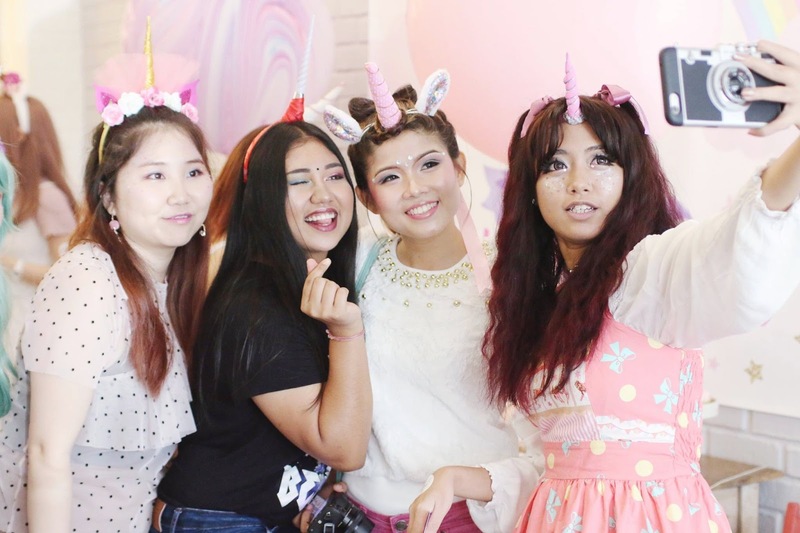 With different personalities and opinions, it's at this party we embrace our differences to be bloggers with Butterfly principles taught by mamasan. How pretty is this unicorn cake? It was held at Wondermilk and I have to give credit to The Butterfly Team for doing a great job in creating the setup and the layout of the venue. 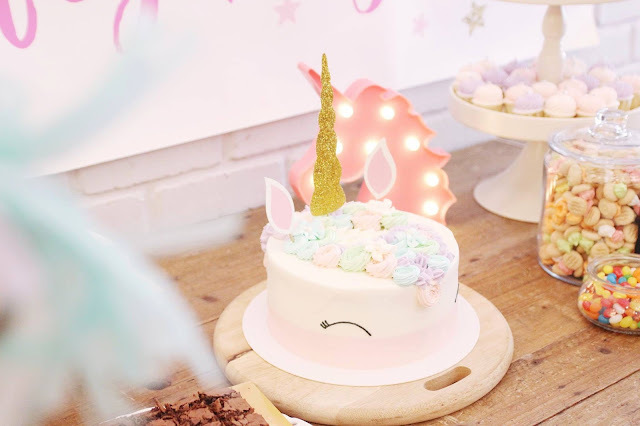 This would be a great idea for those who are planning to throw a unicorn party too! 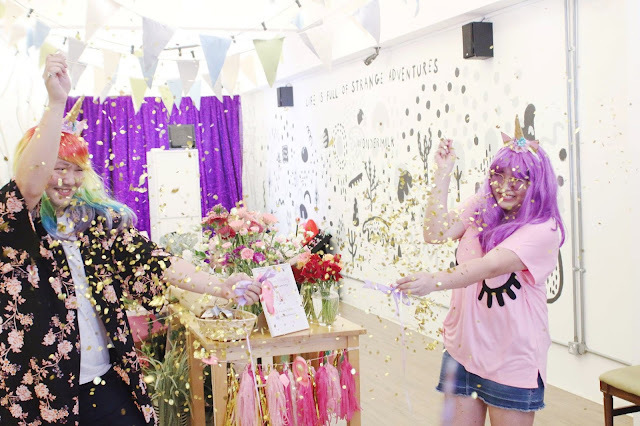 Keep your eyes on this post if you are coincidently planning a party with a unicorn theme. The space provided by Wondermilk is a little small, to be honest, but if you're good at planning in maximizing the space, then it is possible cause we had about 50 unicorns all in a room. What a party without a Photobooth right? A thing about photo booths is that they are a great way to ensure that the party will be remembered, especially when the photo is printed in hardcopy instantly. We had Boomerang PhotoBox by GNG Studiobooth which offers a unique service of taking photos. 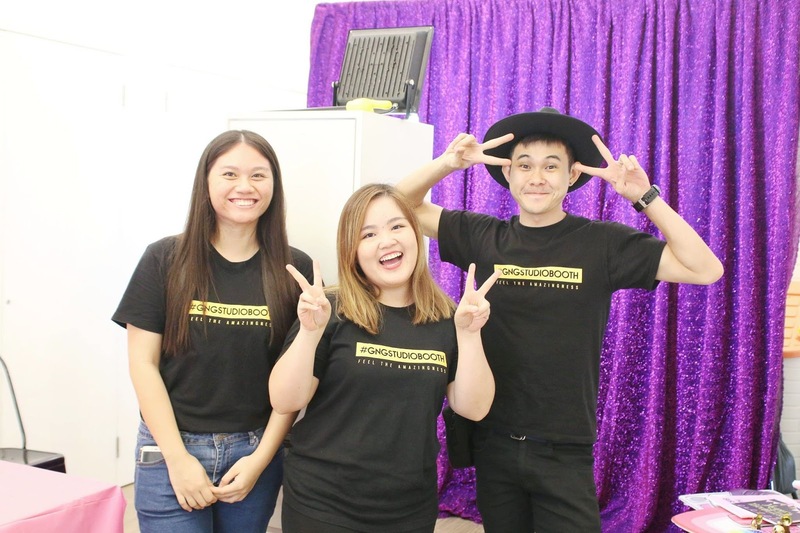 Instead of your typical 3 photo strip, Boomerang PhotoBox offers on the spot live action video recording for easy posting to your social media accounts. I posted my boomerang on my Instagram, and don't you think that it's super cute? Other than Boomerang, the Boomerang PhotoBox also prints out unlimited photo printing for any party! The end result. Isnt it super pretty? Next, we had a Flower Bar by Everyday Flowers present at the party. I've never seen a flower bar setup in my life before, but since I've already seen it, I want it at any other party that I'll soon organize. haha. (Sorry, I LOVE flowers). I think we can all agree that we love flowers right? Like even boys love flowers. What I did at the flower bar was picked a few stalks of flowers then leave it to the team to turn it into a beautiful bouquet. I didn't think 2 stalks could make such a difference! What was even better is that I get to take it home! Woohooo! What is a party without balloons right? Pfft, I know im 26 this year, and im telling you that you're never too old to enjoy the presence of balloons. 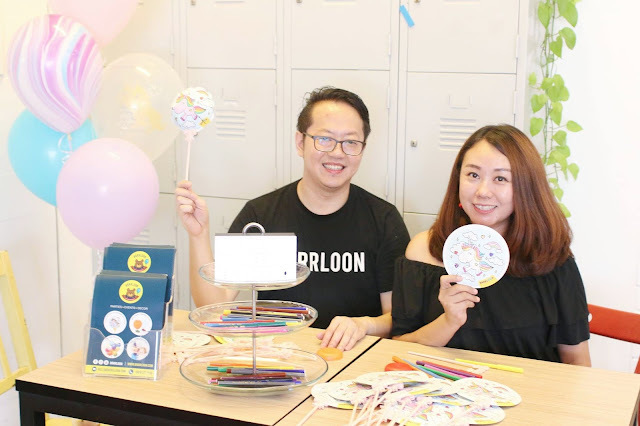 We had Brrrloon present at the event where they provide personalized bubble balloons, helium balloons, auto-inflate coloring balloons, and all things balloons! So with the presence of Brrrloon to make the party a party, we got a chance to experience the Auto-inflate coloring brrrloon where you get to color it, hit it hard in the center, shake it and watch it grow! It's actually pretty cool to see a balloon grow without the need of blowing it or adding in helium. Before I forget, the party even had an adopting session which I thought was super cute! I was actually wondering what am I adopting at the party, and to my surprise, I adopted a really cute unicorn mug from 50Gram! Mamasan did a great job in designing the adoption certificate, and all of us were required to fill in the details of the certificate before claiming our unicorn. Hehe. I named my unicorn Xenia cause I always thought that names starting with the letter 'X' are pretty rare, so why not? The certificate seems pretty legit since I had to sign the certificate to officiate my adoption. Hehe. A great way to make the party more interactive with a little humor. What's a party without food? 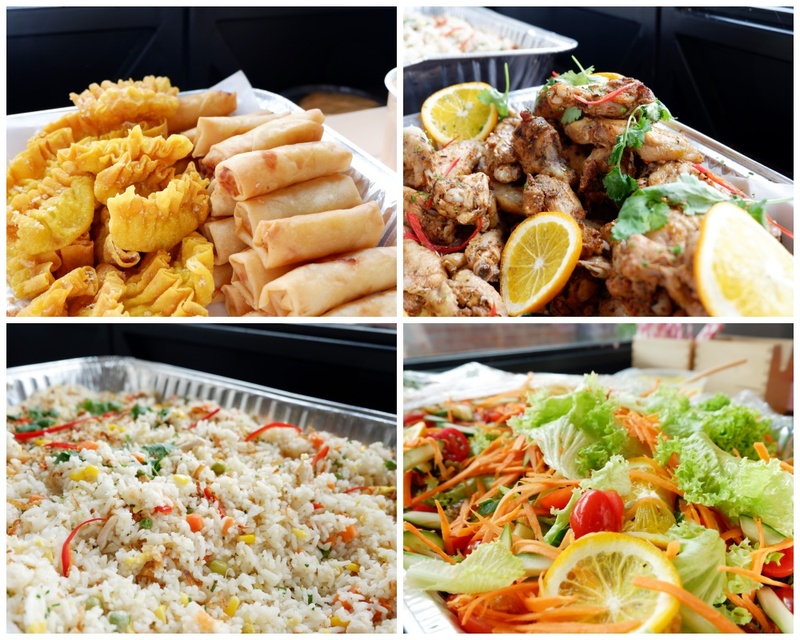 Oh, not to forget that we had amazing food to dig in! It was all pretty much like light bites, but it was good enough for me. Who has time to enjoy food when you're running around saying hi to everyone? After all, it is a party filled with bloggers. I am partially thankful that the food is easy to snack on, and it's not at all messy. So if you're planning to host a party, you can keep that in mind as well. Congrats to Syafiera, Rawlins, and Bella! 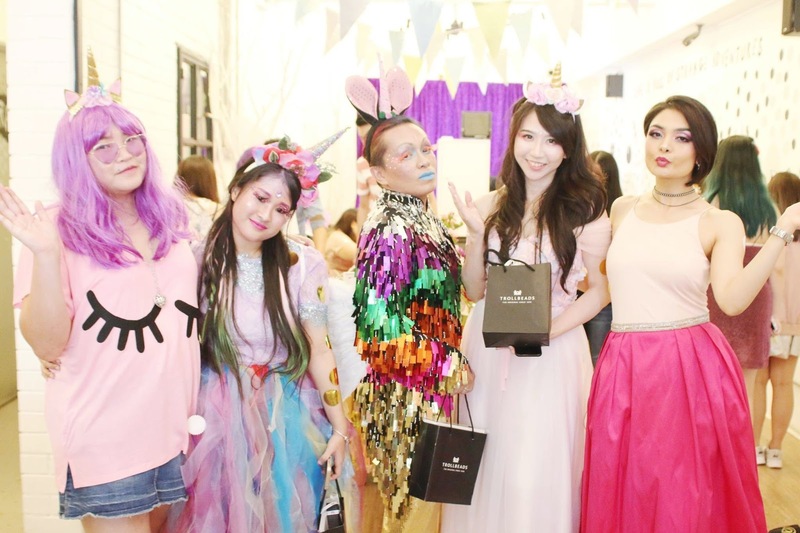 As the party was nearing an end, it was time to announce the Best Dressed Award! This time was a little different as the attendees were given the choice to vote for who they think deserves to win. Each of us were given golden stickers to stick on the outfit that we think looks amazing and to be honest, it wasn't hard to pick the best dressed as they went all out for the party. Without any hesitation, the winner for the TOP 3 best dressed went to Syafiera, Rawlins, and Bella for snagging the Best Dressed Awards. Now, let's explore whats in my goodie bag! And every party is always great where they include goodie bags! So we got this cute unicorn goodie bag (spot on with the theme), and it was filled with goodies that any girl would love. Let's find out whats inside. First up would be a gift from Wanderlust Things, a Gold Unicorn Necklace. I couldn't resist but to check out their site, and found that there are two colors to choose from, either silver or gold. The one I got is in gold, and it looks super cute for a casual magical day in the sun. 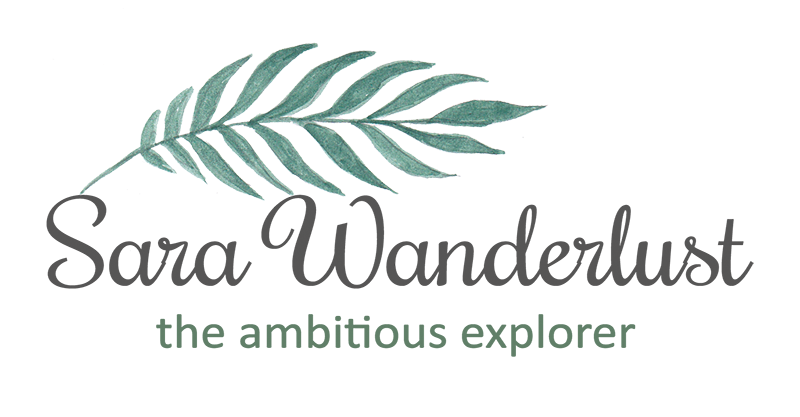 If you haven't noticed, Wanderlust Things is an online store that sells all sorts of magical novelties in the form of stationary, home decor, accessories, beauty tools and more! So if you haven't checked out Wanderlust Things, it's about time you do! Next would be a little something from NYX Cosmetics. I think it is relatable when it comes to NYX being our go-to cosmetics when we're low on budget, but trust me, the looks that you can create with these babies are magical. Found myself 2 items from NYX, namely the NYX Vivid Brightest Liquid Eyeliner in VBL09 Blossom (RM30) and the NYX Lip Of The Day Liquid Lip Liner in LOTD08 Cherished (RM35). Bright colors are a YES for parties, and since I took a moment to try both the items out, I would have to say that it's beyond my usual colors, but it does create character when creating a look. The minute I tried the Vivid Bright eyeliner, it kinda added a more defined look to my eyes, but since its lighter in shade compared to the usual black eyeliner, it makes my eyes look slimmer for a mysterious look. It had like a brush applicator end, but im not a fan of it as its a little hard to apply especially when you have clumsy hands (im guilty of it). Once applied, I realized that it dries out to a matte finish. The #LOTD Liquid Lip Liner was actually something new to me. Never worked with anything similar before, but it was an interesting experience to be hands on the item. It actually has a sparkly shade to it, and its supposed to redefine your lip as a lip liner by just lining the edges of your lips. Not too easy to work with if it's your first time, but I tried it out and my honest opinion would be that it doesn't look bad as a lip liner, but it looks a little patchy on camera for some reason. Think of it as something that would highlight your lips more. Also got a little sample from Dear Beaute, the Himawari Hair Care! These packs are great for traveling, so, I guess this would be in my travel bag during my next trip! The pack contains 2 different ranges, one fro Rich and Repair (Orange pack) and another for Volume and Repair (light blue). Since it's from Japan, I really have no doubt that the product is good. Well, at least I know a new hair care brand from Japan now. Can't wait to try this out! In case you want to get your hands on this, you can purchase Dear Beaute's Himawari Hair Care products at selected Watsons or SASA stores in Malaysia. I recently have a thing with falsies cause it gives my eyes a more flirty look, so, I was super duper happy when I found that I got the Dolly Wink false eyelashes in my goodie bag. Dolly Wink is pretty popular when it comes to a brand that redefines your eyes with beautiful false lashes. The set i got was in No.28 Lovely Girl. The set comes with 2 pairs of reusable false eyelashes and a mini eyelash glue by Dolly Wink. A little tip for first timers, I usually like to apply the glue on the eyelash and give it a good blow just before applying it on my lids as it would avoid the glue from dripping. Also, if you're planning to reuse these lashes, it would be encouraged that you clean them properly when you're done, and store it in a proper eyelash case to make sure they last longer. Available at SASA or Watsons Malaysia stores. belif is no stranger to me as it was introduced to me 3 years ago, and I was excited when I got the belif on-the-go travel kit. YAY! I travel pretty often, and this would be super handy when it comes to traveling light. This has been hyped as the bestseller item in Malaysia, and it's also a great way to find out how well they work on your skin. I've never tried all the products in this travel bag before, except for the belif Aqua Bomb Moisturizer which has always been my skin's best friend. You should really checkout belif stores to at least get a little hands-on on the products, and trust me, the formulations are well meant to make your skin feel smooth and comfortable. And last but not least would be a little gift from queen mamasan who gave a card that thanked each and one of us for making the birthday party a magical one. Attached to the card would be an adorable angled brush in a shape of a unicorn horn to match other unicorn brushes that I have at home. hehe. This brush somehow feels very special to me as it is from the founder of The Butterfly project. I believe that mamasan has put so much effort into making the party happen, and I am truly grateful that I m a part of this community. The angle brush is actually from Wanderlust Things, but you are able to get the whole set of 10 pieces which retails at RM89! It has colorful brustles and this particular brush is great to create fleek brows. So, that's basically all the goodies that are in my goodie bag! The combination is really magical and I love how everything is basically what I use every day! I believe that this years party was exciting as I made new friends during the gathering and I also got to spend some time with the bloggers that I've grown together with. I have to give credit to Eros who is a part of The Butterfly Project team who took amazing photos during the party when im busy mingling around. THANK YOU, EROS! Also, in case you're wondering how I created my unicorn look, I shall end my post with a video for you to enjoy. Hehe. I haven't written a long post for a long time, so im gonna sign off with a huge thank you to The Butterfly Project for giving me this opportunity to grow with an amazing community. This is the best function room in the city. The food they served at event space Atlanta was warm, fresh and tasty, and the panoramic window is a sight to behold on a clear day. Their main hall was similar to a club/lounge – however, it had more of an intimate feel.